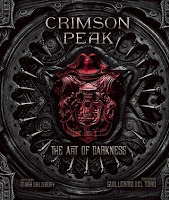 Crimson Peak: The Art of Darkness chronicles the creative journey behind the film. Featuring interviews with the director and key crew members, the book examines the themes at the heart of Crimson Peak and shows how these motifs are woven into every frame. Bringing del Toro’s imagination to life, the book also features a number of special removable items, including authentic period letters from key characters, daguerreotype photographs, newspaper clippings, journal pages, and more. In keeping with the mysterious and thrilling nature of the film, Crimson Peak: The Art of Darkness houses many secrets, all waiting to be discovered. 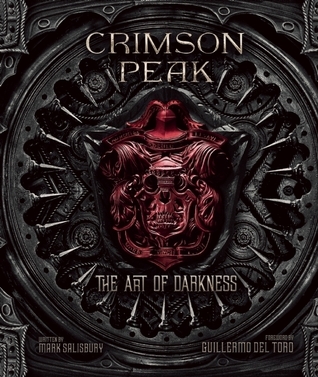 Crimson Peak: The Art of Darkness is the perfect book for fans of the film. It is filled with interesting insights into the production (costumes, set, effects, motifs etc.) and it is, without a doubt, one of the most beautiful books I own. Alongside stunning concept art and illustrations are additional images and information stuck in on loose sheets like a scrapbook. This is a book I will always treasure. Now I just need to wait a few more weeks until the film releases on DVD so I can watch it again.